Not only was my “Chichi®” one of my favorite souvenirs from Curaçao, a Caribbean island off the coast of Venezuela, it’s one of my favorite artifacts from all of my world travels. Chichi® is the brain child of Serena Janet Israel, a German artist, designer and restorer who settled in Curaçao in 2001 after spending two years traveling and sailing around the world. 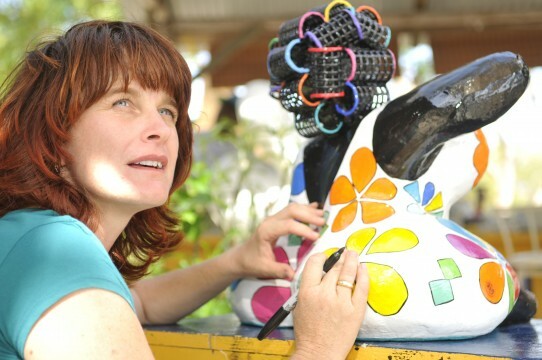 When she first arrived in Curaçao, Serena painted the Chichi’s® herself; but as the sculptures grew in popularity, she expanded the enterprise to employ local women who shared her creative passion and welcomed the additional “chichi money” to supplement their incomes, pay bills or provide special treats for their families. The business snowballed from there, to the point where Serena opened the Art Factory and shops Curaçao in which to sell Chichi® and other works of art. Each of the exaggerated female forms starts out from a mold created by Serena. This makes it easier it easier to reproduce the figures, which can range in size from as tiny as an inch or two up to several feet. A larger-than-life Chichi® stands at the entrance to Serena’s Art Factory, located near Curaçao’s famous Ostrich farm. Talented, energetic, and warm-hearted, Serena also supports Curaçao’s community by auctioning some of her other artwork to assist in funding vulnerable groups like teenage mothers and childcare. 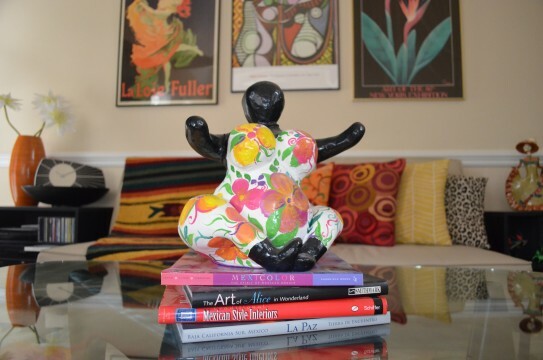 Since I returned from Curaçao, my own Chichi® has taken up a treasured position in my home – holding court on my coffee table, arms extended in an affectionate welcome to all who enter. 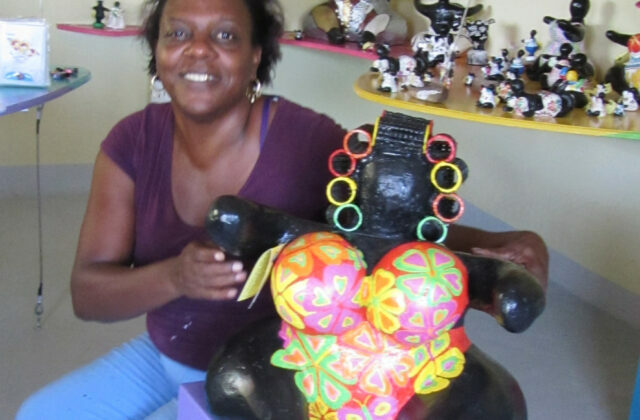 To own one of these timeless pieces of Caribbean folk art, though, you must purchase it while you are visiting the exquisite island of Curaçao; the Art Factory does not ship. In my opinion, it’s a very good reason to plan a trip. Or even a return trip. a beautiful report about Serena and her extraordinary art and soul…..love it much…..you did catch a lot of these unique aspects that stand for the great wonderful woman Serena, one of her kind!!! Will share this article and thank you again……Serena did moondance into the heart of Curacao and keeps doing so……sign of hope that people like her are in this world…….